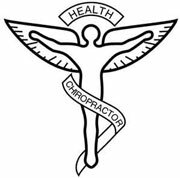 Chiropractic care is a technique that was developed over 100 years ago. It focuses on the neuromusculoskeletal system of the body; the nervous system, the muscles, and the bones. A Chiropractor performs an examination of the person and determines where the cause of the symptom is located in the spinal column. Utilizing their hands or a small instrument, an adjustment is performed to correct the problem or "subluxation". The frequency of visits is determined by the examination and the initial response to care.